Hello everyone, and welcome to the week! It’s time once again for our look back at the noteworthy updates of the last seven days. It’s an odd assortment of games this week, mostly free-to-play. Nevertheless, there are plenty of goodies to be found in the bunch, and I’ve gathered up what I think are the best of the bunch. Of course, you can keep an eye out for updates yourself using AppShopper Social (Free), the watchlist in the TouchArcade App (Free), or by participating in the TouchArcade forums, but this weekly summary is here to fill in the things you might have missed. Let’s dig in! MARVEL Spider-Man Unlimited, Free Spider-Man Unlimited can be so weird sometimes. I suspect they have the license to certain Marvel characters, but not others. It makes it strange when they want to do a tie-in to a Marvel movie or comic event that only has tenuous ties to Spider-Man. For the Civil War movie, for example, they did a weird Miles Morales vs. Peter Parker thing where Miles was pro-unmasking and Peter was anti-unmasking? And now, tying into Marvel’s Civil War 2 comic event, we’ve got a Civil War Spidey from the comics, but he’s the Falcon-like Peter from the Secret Wars Civil War mini-series. The best part of this paragraph is that I’m confident that it makes zero sense to most people. 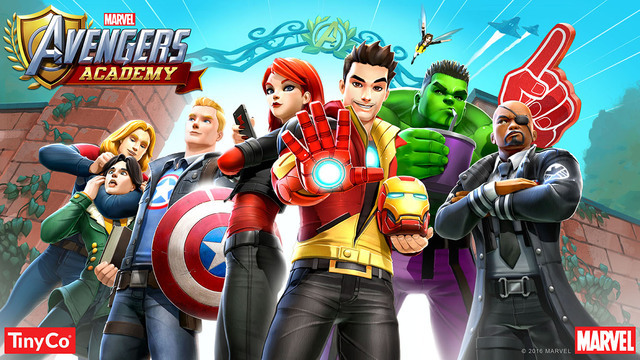 MARVEL Avengers Academy, Free The Civil War event in Avengers Academy was long and, for many players, incredibly draining. I’d like to say everyone got a rest after that, but only a couple of days after Civil War’s close, a special Marvel UK event started. It’s a shorter event, with only three characters up for grabs: Union Jack (the second one, Brian Falsworth), the premium Captain Britain, and Black Knight. As important as Black Knight was for certain periods of the Avengers, I’m not sure any of these three are going to have people knocking down the doors to play. The game has been hinting at a couple of more exciting events to come, however. Tallowmere, $0.99 Tallowmere‘s cool update adds six new shrines to the game. These shrines will temporarily buff your character in some way, and are actually pretty easy to stumble across. Each non-boss room has a 30% chance of containing one, and some rooms might even have two. This update also adds a blood toggle, improves the AI of some enemies, and fixes a few audio issues. Demon's Rise, $7.99 There are somewhere around sixty-quabillion things in this update, so I’m only going to mention some highlights. You can go check the App Store description if you want to see them all. First up, two new playable characters have been added to the roster. The Shadow Ghoul uses plague magic and can eat the dead, which is totally gross but I suppose quite useful in certain situations. The other character, the Void Dragon, opts for a more straightforward approach of breathing fire, rending things with its claws, and using powerful magic. New enemies, new cinematics, some major balancing changes, visual enhancements, and a whole lot more round this one out. Is that good enough for the coveted Update Mondays Most Spider-Mans Of The Week award? You bet your bibi-babka it is. SimCity BuildIt, Free The future is today in SimCity BuildIt‘s newest version. Once you reach level 30, you’ll be able to create some high-tech cities of the future. It’s not just for show, either. Futuristic OMEGA homes can hold more Sims than the regular ones, and your OMEGA research center will allow you to build things like robotic pets, which take all of that annoying warmth and fluffiness out of pet ownership. This update also adds in a new currency type, which I’m sure will not be used to try to get players to spend more real money. The EA I know would never do that. I mean, I haven’t really checked on the company since the late 1980s, but how different could they be? Rayman Adventures, Free The shenanigans continue in this new version of Rayman’s latest iOS adventure. Rayman is headed to the East for 20 new levels, and since he’s from France, that means he’s headed to Asia. He plans on just staying there for a year to save money while he works as a language teacher, but I’m sure he’ll keep procrastinating his return until he ends up settling down there for good. Wait, what was I talking about? Oh right, bug fixes! Wow. Shooty Skies, Free The latest update to Shooty Skies adds 10 new pilots, a new boss, some new enemies, a new terrain type, a new weapon, a new sidekick, new, new, new! But there are a couple of things here more important than any of that. First up, Cloud saving, which should be in every game if possible. Second, there are huge pugs in space helmets. Say what? I’m just glad Shooty Skies has picked the right side in the whole pug debate. They are pure, unbridled evil, and Mighty Games knows it, too. Neon Drive - '80s style arcade, $3.99 Throwing back the 1980s is all the rage in games lately, and Neon Drive does it quite well. This update adds a new seventh stage to the game, along with an endurance mode and a practice mode. Since lots of people were complaining about the game’s old-school difficulty, there are more checkpoints when you play on normal difficulty, along with an extra life. For those who favor the zest of a challenge, the original level 1 layout is now available as an option. It was originally changed because it was too hard for a lot of players. But you can handle it, I’m sure. Injustice: Gods Among Us, Free Joke’s on you, console Injustice fans! While you sit on your hands waiting for Injustice 2, mobile players get to experience the wonder and majesty of two of the Injustice 2 character designs right now. Superman and Aquaman are available via ultra-expensive early access packs, in Challenge mode, and even in Gold packs. Who’s awesome now, non-mobile players? Yeah! All you have to console yourself with is that your version of the game involves more than pawing and tapping at the screen. And who’s interested in that? Nobody worth acknowledging! 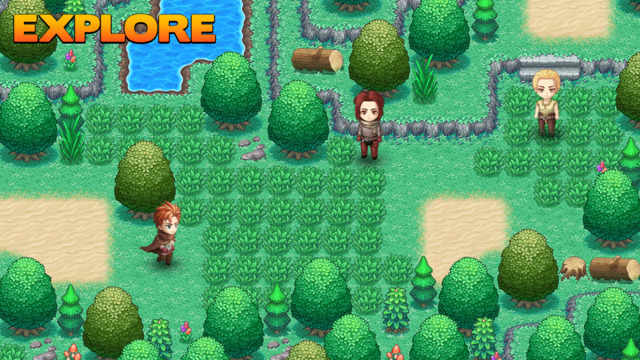 Neo Monsters, $0.99 I didn’t like Neo Monsters, but its massive success on the market has proven me a fool in ways the wife of the developer commenting on my review never could. As such, the updates must flow, and this one is a doozy. It includes support for PvP, new monsters and skills, and lots of fixes and balance adjustments. Hey, I’m all for games getting better, so cheers to this. Crusaders Quest, Free Guilty Gear fans just got a new game to roll around with, but if you’ve got some downtime between matches, might I recommend a trip to Crusaders Quest? There’s another Guilty Gear collaboration event going on right now, allowing you to add Jack-O’, Millia Rage, Johnny, and Sin Kiske to your roster. There are also two new Manacar World bosses, and some UI improvements and bug fixes. Sentinels of the Multiverse, $6.99 Is it Mini-Pack 3 time already? My, how the time flies. Well, anyway, Season Pass 1 holders can just go ahead and download this new content, which contains some new characters and cards. Otherwise, it’s a $1.99 IAP to get access to all the goodies. Whether or not you grab it, you’ll enjoy the other benefits of this update, including better viewing of Weekly One-Shot covers, the ability to sort decks by difficulty and complexity, and a new, less eye-damaging font in multiplayer chat. Mr. Crab 2, Free Hello! Are you tired of having your hands cut off by by bubble-blowers? And the inevitable heart attacks that come with running across sand? Then call KL5-3226. Call now, and receive a free T-shirt. Call Mr. Crab, that’s his name, that name again is Mr. Crab! This update includes eight new levels and a brand new crab named Woody. That’s a very peculiar name for a crab, if you ask me, which you did not. Asphalt 8: Airborne, Free Aw yeah, it is free-to-play racing game update time! You know what that means, friends! Some new cars you’ll probably never get to use because they’re tucked behind an absurd challenge! A new event you can’t come close to winning unless you somehow get one of those new cars or their equivalent! Daily tasks to keep you coming back even after you’re tired of the game! All this, and not much more, in the latest free-to-play racing game update! World of Tanks Blitz MMO, Free Wow, sorry about that last one, friends. Sarcastic Shaun can be a nasty fellow, but I’ve jammed a Q-tip into my ear six or seven times and that seems to have quieted him down some. That means we’re ready to look at the update for World of Tanks Blitz. It includes new seasonal milestone rewards, some new camouflage to unlock, a reworked Rockfield map, and some training rooms to play around in. It’s a good place to practice so that you won’t be caught with your panzers down in a real fight. Yeah, that just happened. Dungeon Link: Adventure RPG, Free Okay, so somehow I missed that Dungeon Link started doing an Adventure Time collaboration last month. That is actually pretty darned nifty. But that was the last update. This update makes it so that you can use the Adventure Time characters in Champion’s Road mode. It also does a couple of UI fixes and makes it so that you can’t use story heroes as fusion fodder. I love weird collaborations like this. 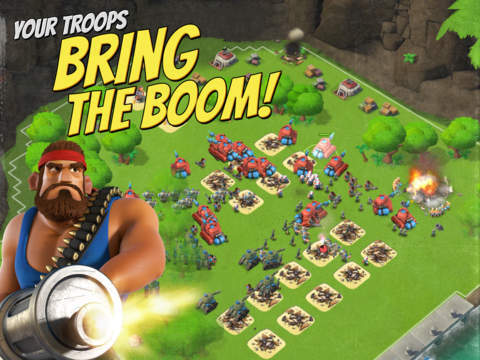 Boom Beach, Free You know, I can’t help but notice that Boom Beach is starting to fade in popularity a little after the extremely successful launch of Clash Royale. I’m sure it’s still making gobs of money, but it’s still interesting to note. This update adds the ability to really stay frosty with a new troop type called the Cryoneer. There are also some new ranks to earn, and the ability to challenge your Task Force to attack your own base in a friendly battle. Finally, you can now save your troop loadouts so that you can switch easily between various combinations. Oh, and the Supply Chest has had some tweaks done to it, putting things slightly more in the player’s favor.